Liz's Paper Loft: MCT Trending Now: Let It Snow ~ joy! Hi! 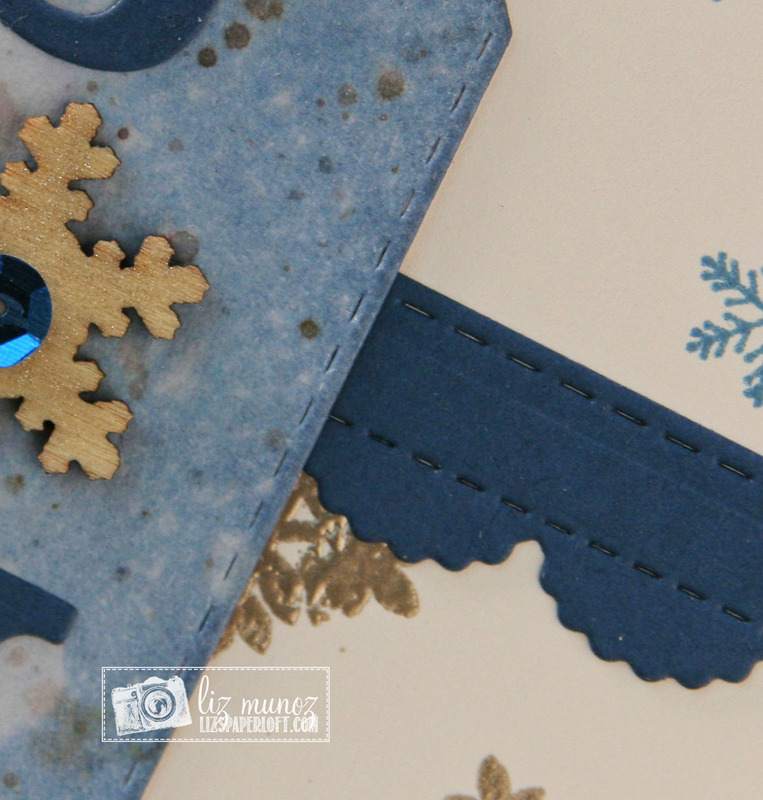 It's Trending Now over at My Creative Time, and today's theme is "Let It Snow"! I chose to make festive winter card. To create the tag background I ink blended on a white tag, then added drops of water and gold shimmer for interest. On the wood snowflake I colored it with Wink of Stella for more shimmer. OMG Miss Liz What a Gorgeous, GORGEOUS card!! You sure did one amazing stamping job your snowflakes are so beautiful ... well you had a vision and it all came together for a Spectacular look. Great creative ideas using Miss Emma's goodies. You so did a Super Outstanding Creative job!! YOU so ROCK!! Gorgeous card! Love the design and the colors are so pretty! Thanks so much for sharing! Beautiful job! I love all of the inking, stamping and embossing. 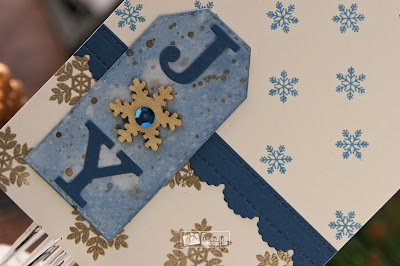 I like the edge die and fun idea to use the flake as the O in JOY! Love it!